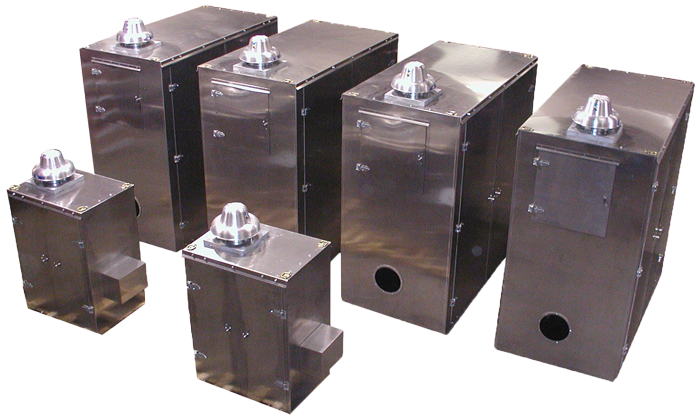 Constructed of heavy gauge aluminum, Pathfinder Systems sound enclosures are corrosion resistant, strong, and lightweight. 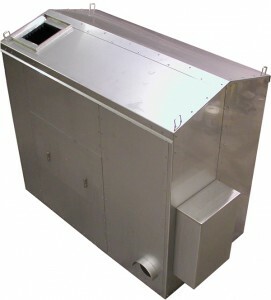 Our mechanical engineers calculate heat loading, compute the size, and determine ventilation requirements. Sound Attenuation tested from 20-23 dBA. Testing required for performance guarantees. We can build 1 or 20, whatever you require! 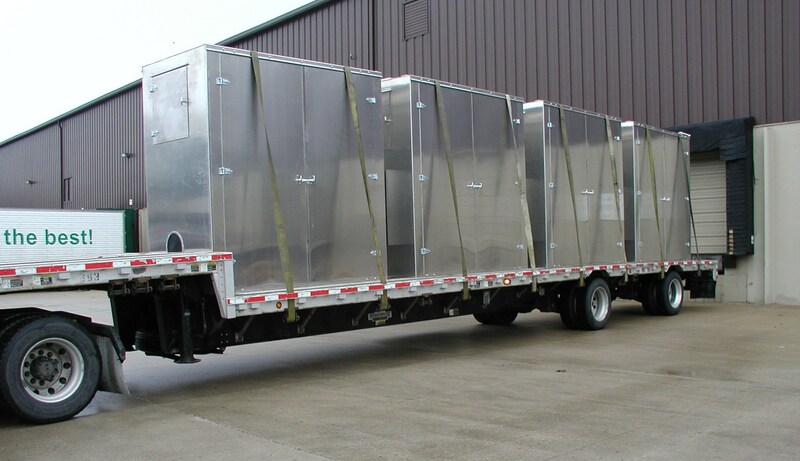 This unit required just about everything imaginable: heavy-duty cam lock doors, an engine exhaust silencer on the roof, metalized foam, 19200 CFM removable fan, removable air box, mass-loaded vinyl floor and more. We are known for being flexible and providing custom solutions to the most complex problems. Just tell us what you require and our engineers will design a system within your budget. The following is a list of the most commonly requested options. One of the most important features of any sound enclosure is the ventilation system. 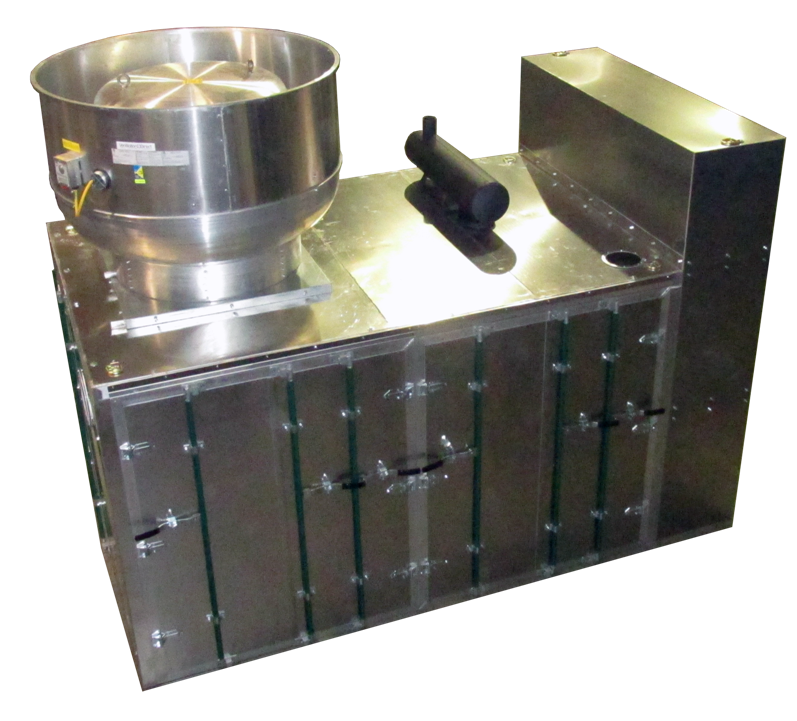 We calculate the heat load and design the air box for optimal air flow. Let us know if you have specific fan motor requirements. Standard material is 5052 H32 Aluminum because it is resistant to corrosion, lightweight, and it looks awesome. Structural units utilize 3″ Square tube and we use 4″ Square tube for heavy snow and wind loads. Stainless Steel is available in Type 304 or Type 316. 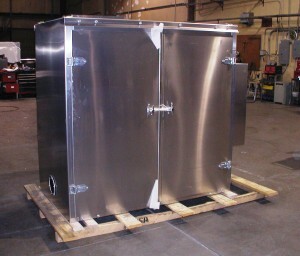 This beauty is constructed from 304 Stainless with all stainless hardware for an extremely corrosive environment. Most units ship fully assembled on a skid via LTL truck. 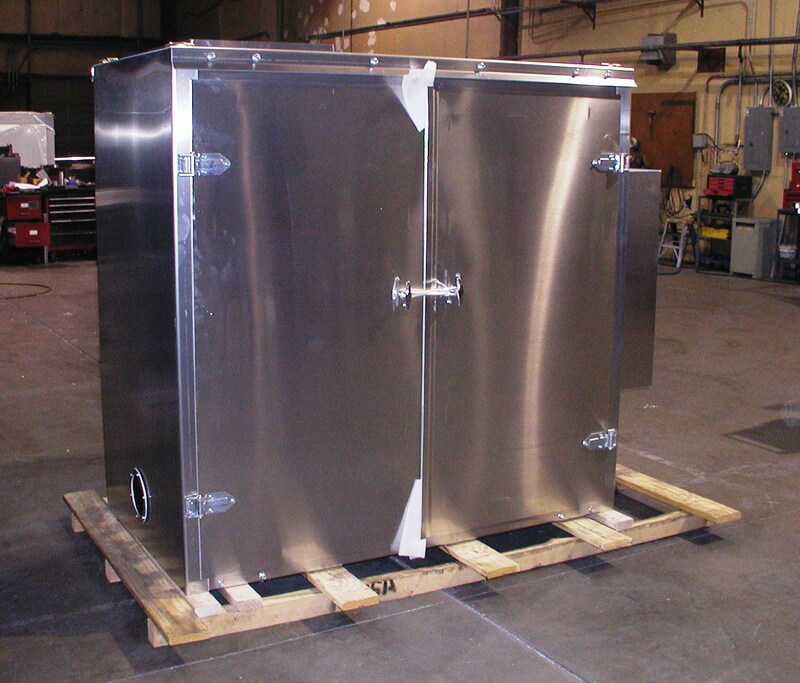 Larger units ship via Flatbed assembled or un-assembled in minimal panels (installation manual included). We are happy to use your logistics company or we can quote shipping fees. Installation is fast and easy. Simply forklift the unit over your equipment, anchor to the floor or base, have a certified electrician wire your fan, and cut open the EPDM pass-throughs for your piping. Watch our Installation Video for more details.